Tonight, John Smart and I tackle the pros and cons of Republicans’ rabid attempts to discredit Hillary Clinton in advance of 2016. Interesting how she offered herself up, taking responsibility for State Department failures on Benghazi, prior to the election last year and Rep. Issa. Sen. Lindsay Graham and company would have none of it. Now of course, the circus has begun anew for reasons that are all too obvious. The IRS has put itself in more hot water than originally thought with the growing scandal brewing due to its unfair targeting of Tea Party groups. Worse still, the recent violent events around the country offer a frightening picture of a society in decline…are we reading the wrong tea leaves here? Join our discussion at 7PM Pacific and 10PM Eastern! 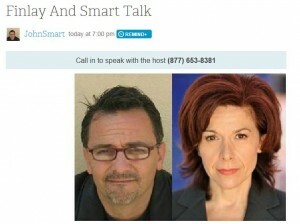 Call in at (877) 653-8381 or download later! Anita Finlay is the author of Dirty Words on Clean Skin, a shocking exposé of sexism and media bias, now available in print and Kindle editions on Amazon. 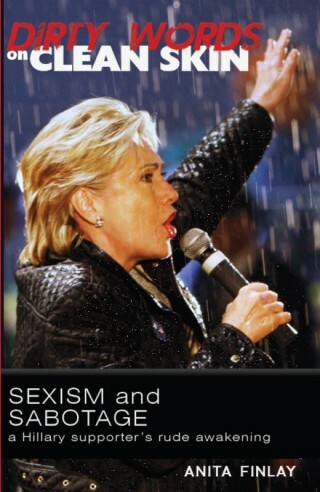 #1 on Women in Politics books for 4 months. Great Early morning, I just stopped in to visit your web site and imagined I’d say I loved myself. I am a Mormon but I don’t feel it affects me as being a snowboarder. Which isn’t such a terrible point because most men like that appear.